An essential part of U.S.-Japanese investment relies on building and fostering a good relationship within the local community. And there’s no better example of this than Cataler North America’s presence in Lincoln County in North Carolina. Cataler North America manufactures chemical catalysts for automotive exhaust systems, highly valuable technology for preserving the global environment. The Japanese company established its Lincolnton facility in 2002 with less than 20 employees. Now, it employs more than 300 people and has gone through multiple expansions. A clear sign of loyalty, Cataler’s first American employee was hired 16 years ago and still works with for the company as a senior general manager. “The employees enjoy what they do and continue to grow along with the company. 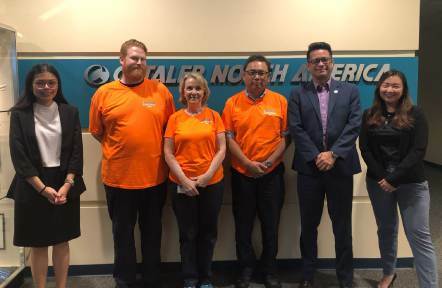 We have developed a teaching culture here that helps improve both their technical capabilities and their general relationship with one another,” Cataler North America President Nakaba Tamura said. 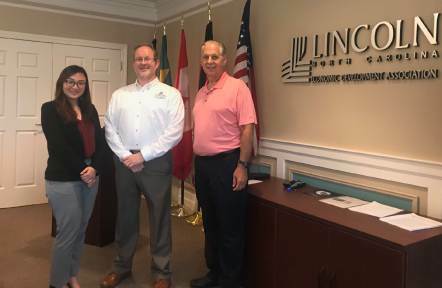 “There are a lot of international companies here in Lincoln County but Cataler really sets the bar for corporate citizenship. They do so much for the community,” LEDA Executive Director Cliff Brumfield said. This year, Cataler plans to increase their support to charitable activities. “It's overwhelming to look at the amount Cataler has consistently invested in this community. Nothing goes beyond what Cataler has done for Lincoln County,” Cliff stressed.